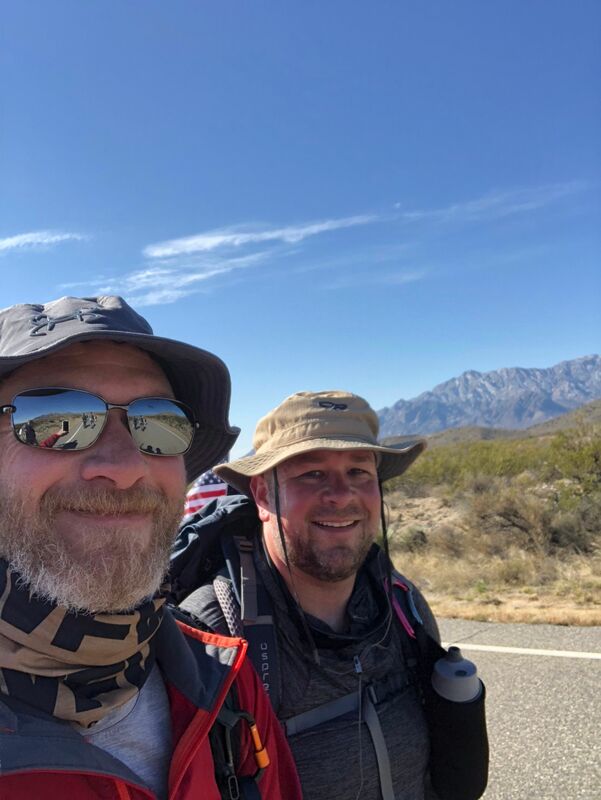 Aaron Chamblee and Tommy Percell at the start of the Bataan Memorial Death March at White Sands Missile Base in Las Cruces, New Mexico. Marching 26 miles at White Sands Missile Base in New Mexico with a 45-pound pack sounds devastatingly tough to most weekend warriors. 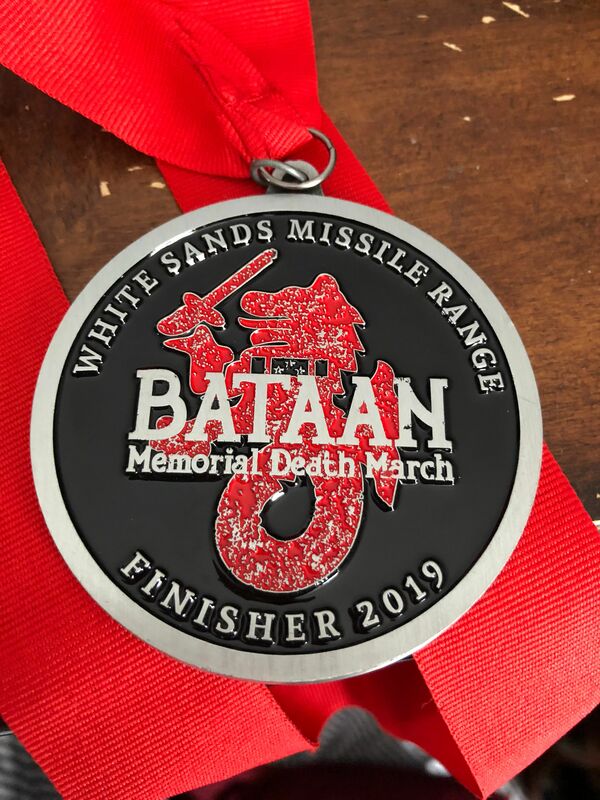 The Bataan Memorial Death March, an annual event near Las Cruces, commemorates the World War II forced march in the Philippines. But it pales in comparison to what the survivors for the actual march had to endure as they walked 60 to 69 miles with little or no food or water. Two Bayfield men, Aaron Chamblee and Tommy Percell, took part in the 2019 memorial march on March 17, both carrying packs weighing more than 40 pounds throughout the entire event. Chamblee went on the memorial march after Percell asked him to come along, but it turned into something more than a long walk through the desert. “My grandpa was a tank commander in World War II,” Chamblee said, and he wanted to participate in honor of all veterans of the Great War. Into the march, Chamblee and Percell are still grinning, but they said by the end of the event, they were dragging. Chamblee said he was honored to walk with descendants of march survivors, as well as a few of the remaining actual survivors who participated in a three-mile walk. Training for the event in Bayfield was tough this winter, when there was so much snow on the ground that hiking outside was difficult, if not impossible. “We didn’t train like we should have,” he said, although they did a nine-mile walk on a treadmill with their packs. Participants in the memorial march can walk in civilian light or civilian heavy categories, with the packs or without. There’s also a military category for active-duty service members. Percell said he challenges himself physically and mentally – he’s summited Mt. Rainier, Mt. Kilimanjaro, and several 14ers in the winter. “You get to know yourself better,” he said. Walking with Chamblee, as well as two other Bayfield men who ran the marathon in the civilian light category, helped him complete the long march. About 25 percent of the civilians who carry packs don’t complete the event. Having friends along the way – taking breaks, popping blisters, wrapping feet, staying hydrated, or just encouraging each other to keep it up – can make the difference between quitting or pushing on, Percell said. “You don’t want to be the one who doesn’t finish,” Percell noted. They finished in nine hours and 58 minutes. Percell is an agent for Bayfield Realty, while Chamblee is a mechanic at Southwest Ag in Gem Village. Trying to find the time to train while working and raising their families was another challenge, they said. The memorial march is conducted in honor of the American and Filipino service members who defended the Philippine Islands during World War II. After the U.S. forces surrendered following the Battle of Bataan, the Imperial Japanese Army marched 60,000 to 80,000 prisoners of war, starting on April 9, 1942, according to Wikipedia. The soldiers marched between 60 and 69 miles, with casualties estimated at 5,000 to 18,000 Filipino deaths and 500 to 650 American deaths during the march. The march was characterized by severe abuse and wanton killings, and was later judged by an Allied military commission to be a Japanese war crime. In 2002, the memorial "Heroes of Bataan" was dedicated at Veteran's Park in Las Cruces. It depicts three soldiers assisting each other during the Bataan Death March. This year’s march began with the Filipino and U.S. national anthems and a welcome speech by U.S. Rep. Xochitl Torres Small, D-N.M., according to the Las Cruces Sun News. "What the soldiers of the Bataan endured must never be forgotten, and what you are doing today helps keep those memories and that spirit alive," she told the marchers and others in attendance. 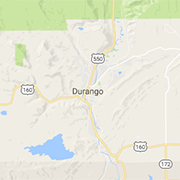 Soldiers from New Mexico paid a high cost during the World War II death march. Members of the 200th Coast Artillery from the New Mexico National Guard worked to cover the U.S. military’s retreat into Bataan before the U.S. surrendered to the Japanese. Of the 1,800 New Mexico men sent to the Philippines, 900 survived the Battle for Bataan, the subsequent death march and up to 40 months spent in prisoner of war camps. National Guard members brought home three distinguished unit citations and the Philippine Presidential Unit Citation. Both Chamblee and Percell said immediately after the march, they swore they would never do it again. Now that some time has passed, both said they’re considering a return trip. At the end of the march, Chamblee’s fitness tracker showed he had walked 58,041 steps for 26.27 miles. The 2020 march in Las Cruces is set for March 15, with registration opening on Oct. 1. More information is at www.bataanmarch.com. Chamblee and Percell are proud to have finished the 26-mile Bataan Memorial Death March.